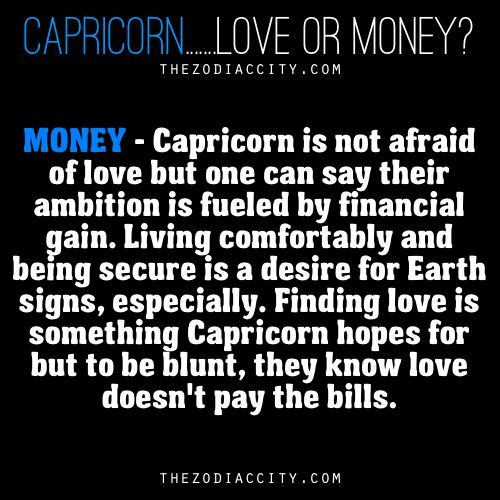 Capricorn: Love or Money? | Capricorn Life - Capricorns Rock! 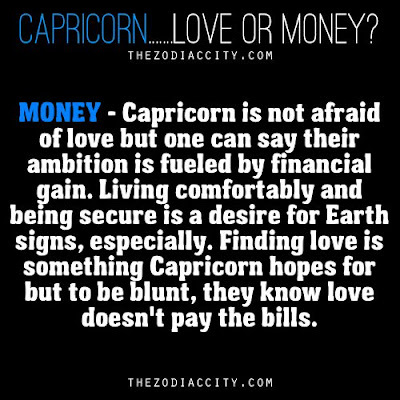 MONEY - Capricorn is not afraid of love, but one can say their ambition is fueled by financial gain. Living comfortably and being secure is a desire for Earth Signs, especially. Finding love is something Capricorn hopes for but to be blunt, they know love doesn't pay the bills.